THE PLM 12K44 COMBINES A 4-IN, 4-OUT CONFIGURATION WITH INDUSTRY-STANDARD DANTE NETWORKING, SETTING THE BENCHMARK FOR POWERED LOUDSPEAKER MANAGEMENT SYSTEMS. 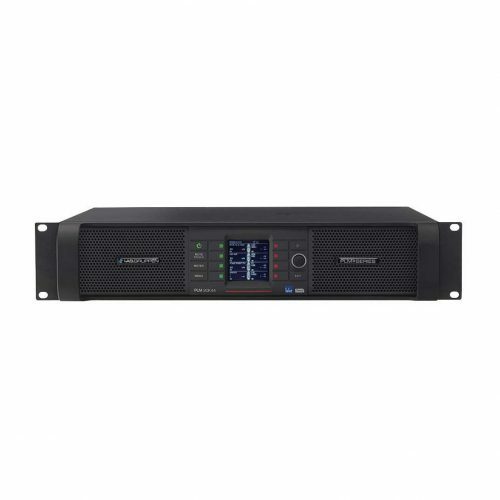 The PLM 12K44 is the natural successor of the proven, road tested, and trusted Lab.gruppen touring foundation exemplified by the iconic PLM series, but with an additional new powerful feature set: the ability to rationalize power allocation between channels to optimize performance. 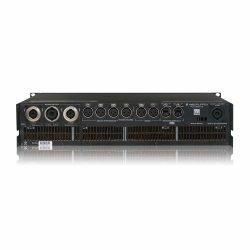 Now packaged in an extended 4-in, 4-out configuration together with twice the processing power via the latest version 6.3 Lake Controller release, plus industry-standard Dante® networking, the PLM 12K44 sets the benchmark for Powered Loudspeaker Management Systems. 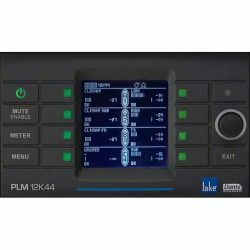 The PLM 12K44 combines four channels of extremely powerful amplification with unrivalled signal processing and audio management. 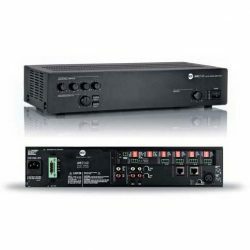 At the core of the system concept is the total integration of all devices – including networking, audio I/O, signal processing, amplifiers, power supply and connected mains supply – allowing complete control and monitoring of the entire platform, resulting in unique operational benefits. On top of the outstanding performance users have come to expect from a PLM, the 12K44 also features Rational Power Management (RPM), a proprietary Lab.gruppen technology that provides designers and systems techs with unprecedented freedom to allocate the available output power of each amplifier channel for optimum performance with specific load conditions. 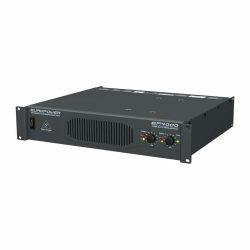 For the first time, RPM provides true flexibility in allocating available power across the four output channels. 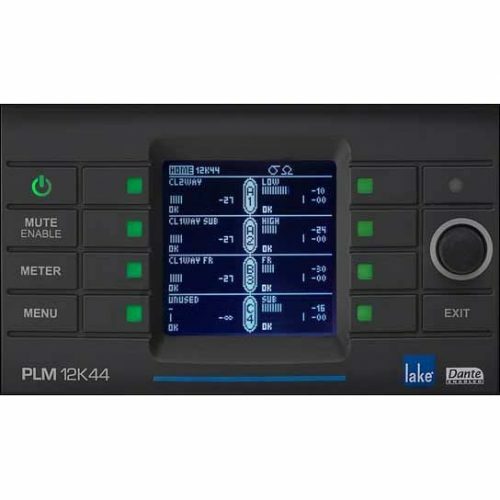 Each channel of the PLM 12K44 may be tailored to meet the requirements of the connected load, and any power not used for that channel may be allocated for use on other channels. RPM helps to avoid amplifier over-specification, or bridging of adjacent channels in order to meet minimum demands on one power-hungry load, which would otherwise result in a loss of channel count. 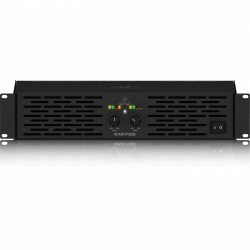 RPM technology also enables the user to minimize equipment costs, reduce rack space and improve long-term energy efficiency – all achievable without compromising sonic performance. 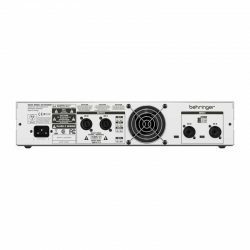 Rational Power Management incorporates features that safeguard the defined power output of one or more specified channels. 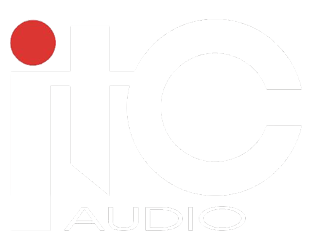 From within the CAFÉ software, it allows the desired power demand to be calculated for the different loads in several different ways. 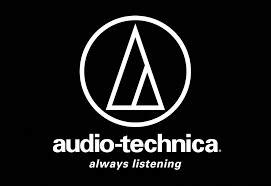 RPM then analyses the desired power in relation to the channel and device constraints and guides the system designer towards the most effective way of powering the PA. Rational Power Management results in real-world savings, both immediate and long-term. In many cases, fewer amplifiers – or lower cost models – may be specified while still fulfilling all power requirements. It also allows better mains management, avoiding over-specification of mains distribution, cooling, and UPS (where required). 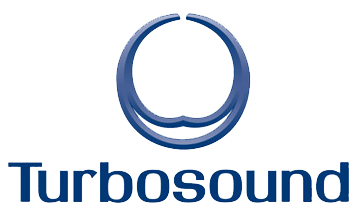 Finally, the overall gains in efficiency in larger systems will minimize current consumption and reduce operation costs – a “green bonus” for the system owner. 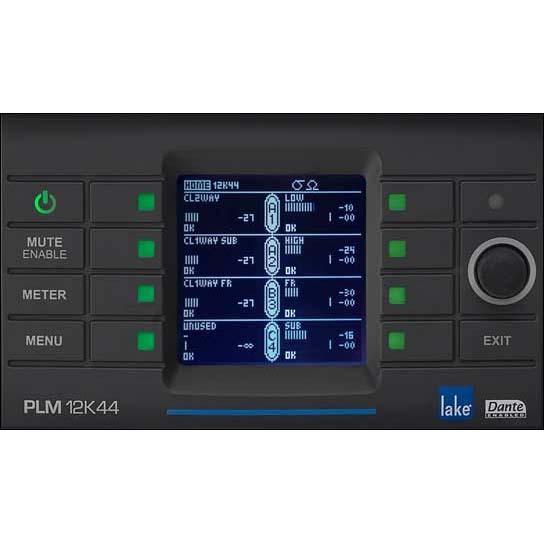 The PLM 12K44 features the legendary power of exclusive Lake Processing algorithms, incorporating four full-featured Lake modules with four discrete channels of audio throughput input to output. Audio signals are selectable from four channels of analog (with Iso-Float ground isolation), four channels via AES3 digital inputs and eight dual redundant Dante networked digital inputs. Input signals are individually selectable for each channel, with programmable failover to a lower prioritized input. 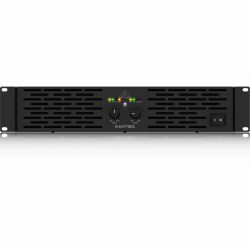 CAFÉ (Configuring Amplifiers For the Environment) is a software suite that allows the PLM 12K44 to be easily configured and monitored in the most efficient manner possible. 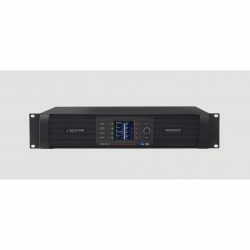 In addition to providing comprehensive system surveillance and configuration of RPM and other amplifier features such as ISVPL and Breaker Emulation Limiter (BEL), CAFÉ also includes valuable help to save the environment. In combination with the RPM configuration CAFÉ can accurately predict estimations of average mains current draw and generated heat, and utilizing the PLM Series’ innovative power supply technologies in combination with BEL the mains draw can be safeguarded to a predicted level. 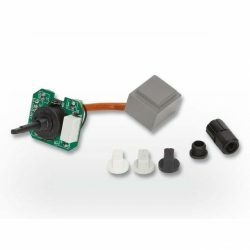 The end result is precise mains management and thermal control, which allows more accurate (rather than over-specified) provision of mains distribution, cabling and cooling. 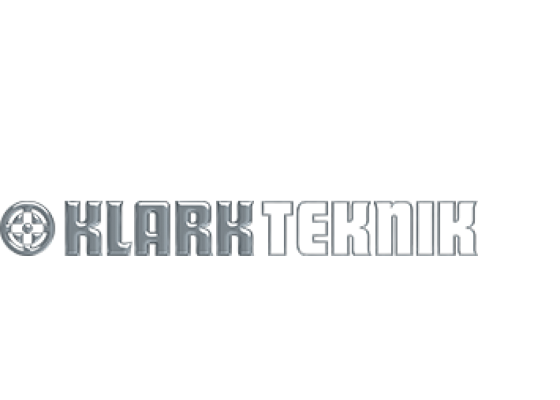 This technology suite reduces lifetime running costs and minimizes environmental impact. It also reduces demands on UPS systems.